I took part in Gint-A-Cuffs again this year. And yet again, I had a REALLY horrible score, but somehow, someone was even worse than me and walked away with a prize. That's not to say I wasn't happy with my box. 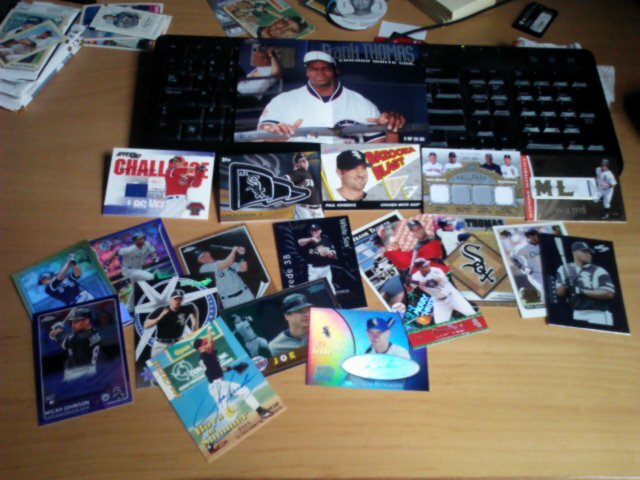 I pulled the three guaranteed hits that consisted of a relic, mini autograph, and a mini printing plate. Luckily, the plate was of Michael Pineda and AJ from The Lost Collector is a super collector of the pitcher, so it was great to get the hunk of metal into a well loved household. 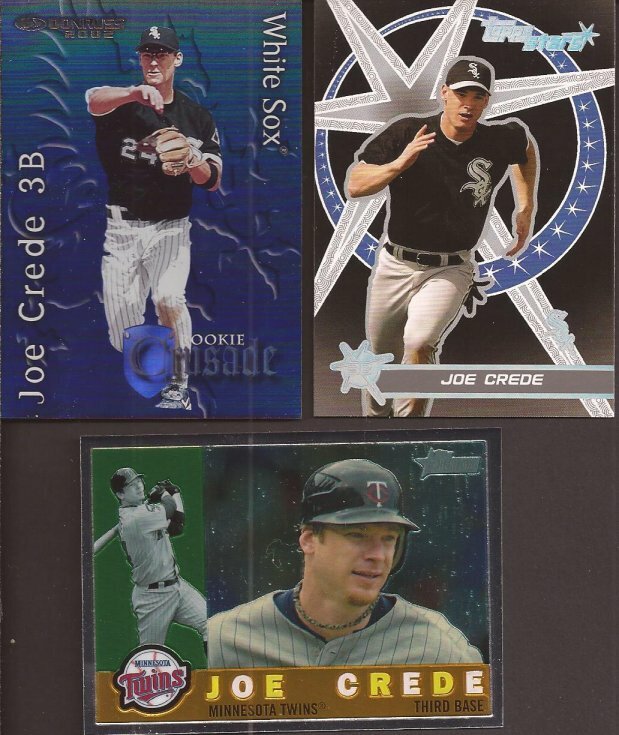 I received AJ's return package a few days ago, and I'm not quite sure how he thinks the cards he sent is equal in value to that printing plate. I have learned that residents of NJ must not understand math, because there is no frigging way he got the better end of this trade. Do you see all of that amazing cardboard? Let me break some of it down. Every so often I catch sight of these Christmas ornaments from Pacific and think I should find one someday. Then I forget to add one to my Ebay watch list to help remind me. This thing is awesome. Everyone should own one. Feel free to select a player of your choice. Super duper shiny! The gold Beckham Platinum on the right is very thick. Like 4 cards thick. I can tell AJ took a look at my Zistle collection as anything he sent for a player collection was a card I did not own. That Crusade looks far better in hand, and without that stupid line in it from my scanner. I need to fix or replace that. ...along with another PC relic in quad format. 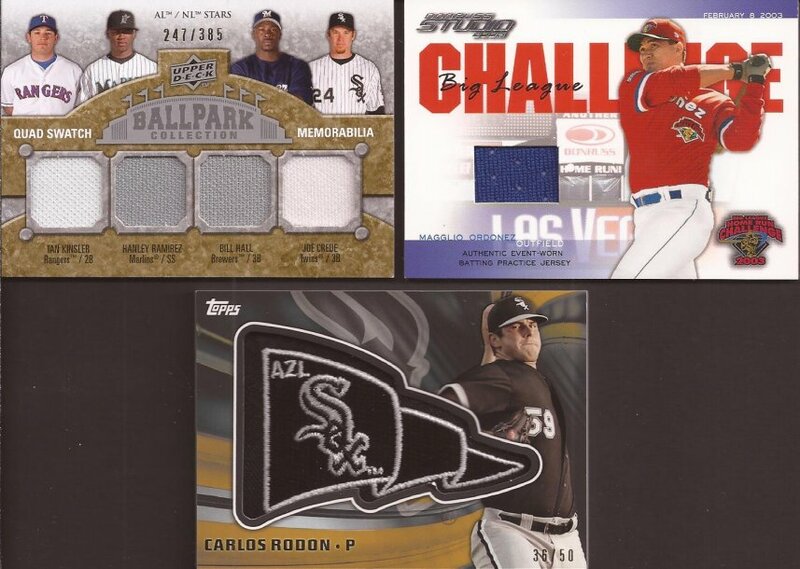 Plus a swatch from Ordonez via the All Star game, and a manu-relic of future star Rodon. Most, including me, would think AJ has more than made up for that plate at this point. Everyone but AJ, it seems. 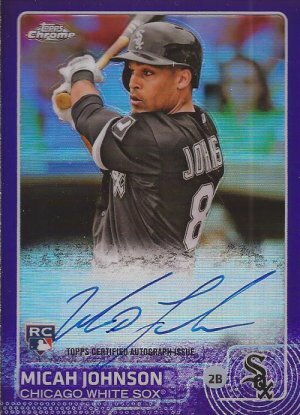 Purple refractor auto of Micah Johnson. Oh - it's just numbered to /250. And somewhere, back in the noggin of AJ, he goes "nope - still needs more". 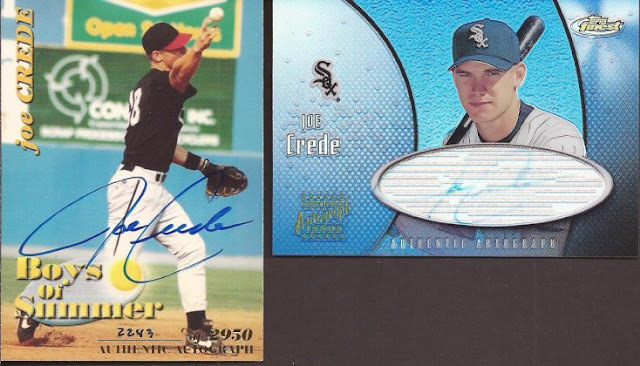 Dueling autos of PC Joe Crede. That Boys of Summer is actually a dupe. AJ only sent it because I never added it to Zistle. 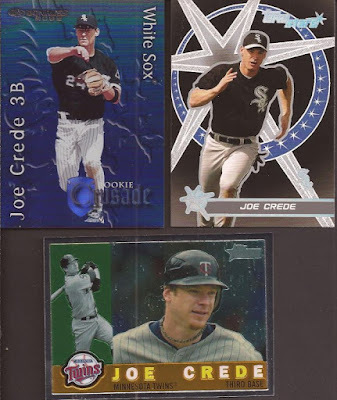 And the Topps Finest is a little faded - that is not the scan. But it's still extremely legible. Also, it's getting tucked in a binder, so if the sun faded it, it won't have a chance to do any more damage. So there you have it. In the mind of a Jersey boy, one mini printing plate is > or = to eight hits plus a dozen or so cards. AJ, I like your math! :) Thanks for helping me turn that A&G hit into way more than I ever expected - I owe you for this flip. That's a pretty good return on that Pineda! It was a fun package put together. 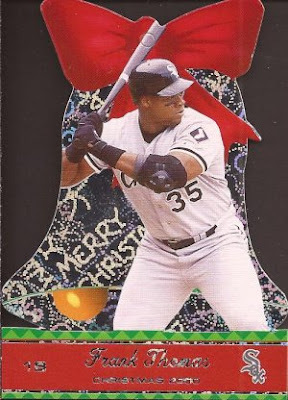 The Ornament card was easily my favorite. They are so cool. It's not just the value of the Pineda, but the generosity that you immediately set it aside for me, knowing I'd love it. That alone is worth a few good cards. We are even! Thanks again. Very nice! AJ is the man.